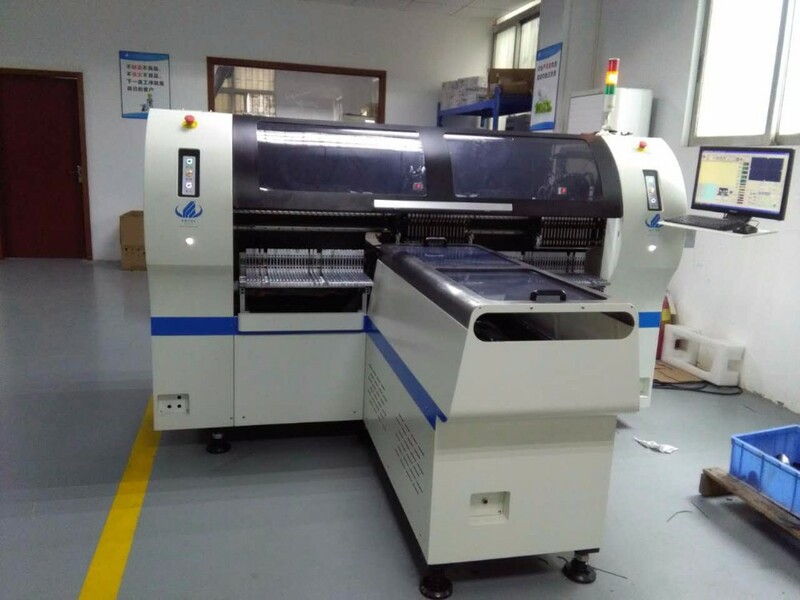 HT-F7 SMT pick and place machine is for 0.6M, 0.9M, 1,2M LED hard light board 0.5M, 1M LED soft lamp strip. Apply to LED lamp manufacturer , PCB production line etc. HT-F7 is for double module, consisting of two modules interact to mount around, each module can be installed nozzle 17, the minimum distance is 14mm between two adjacent nozzle. 14mm above can be freely adjusted, when the puzzle spacing of less than 14mm can be separated by one or more of the welding position adjustment nozzle spacing to interact mount. And it’s identified the correct position by camera. So it’s high precision and good stability.